On Friday, September 15, 2017. 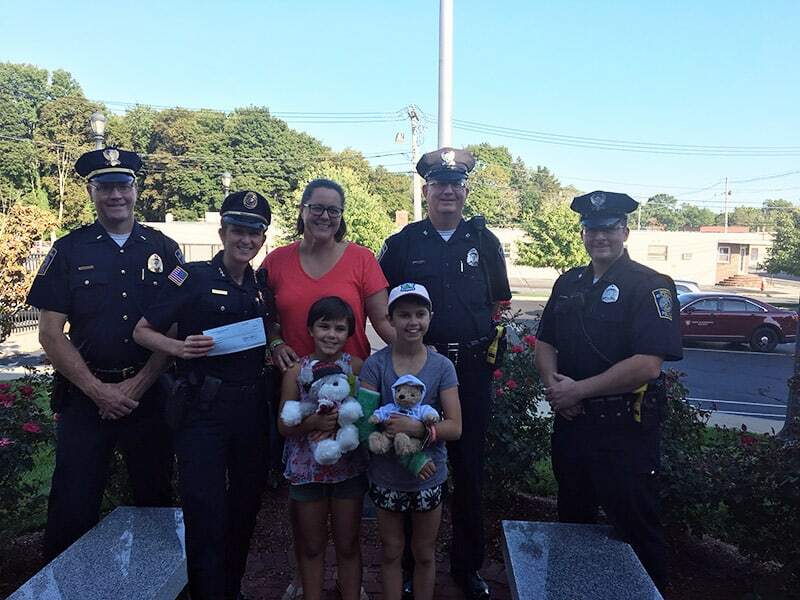 Deputy Chief Rafferty (CFKWC) made a donation to 10 year old Abigail Waldron and her family, at the North Attleboro Police Department. Photo L-R , Lt. Fred DeMarco, Dep. Chief Rafferty, Mom Amy, Officer John Grim, Officer Rob Curran, Abigail and her sister Madeline. We would like to Thank the men and women of the North Attleboro Police Department for their assistance and warm welcome.